We know you like the thrill of the chase, but sorry, your search for the cutest heels in the world ends here. 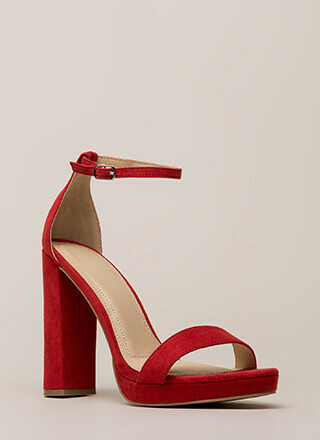 Open-toe satin heels feature an open sandal design with a ruffled toe strap and a matching ankle strap with an adjustable buckle. Shoes are finished with exposed sides and a ridged sole.